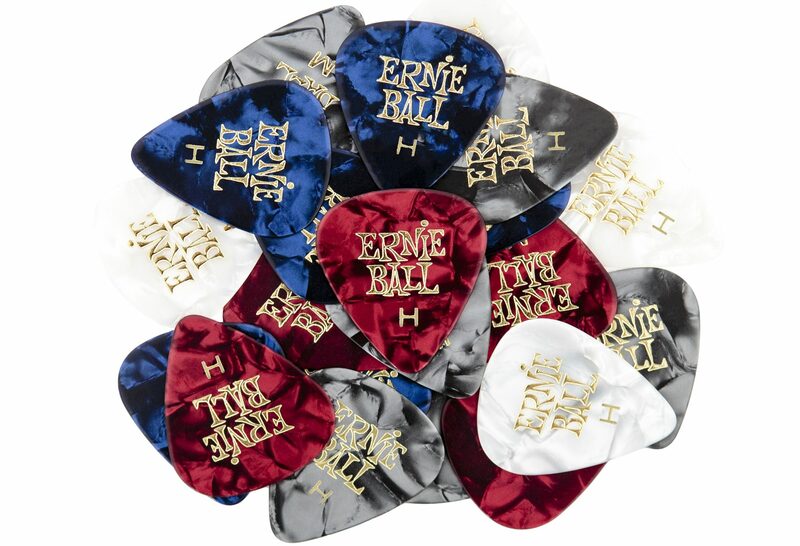 Ernie Ball sells many different types of picks in a diverse selection of materials, gauges, and styles. Before you start shopping, you`ll need to consider several factors, including your preferred playing style/musical genre and the tonal quality desired. 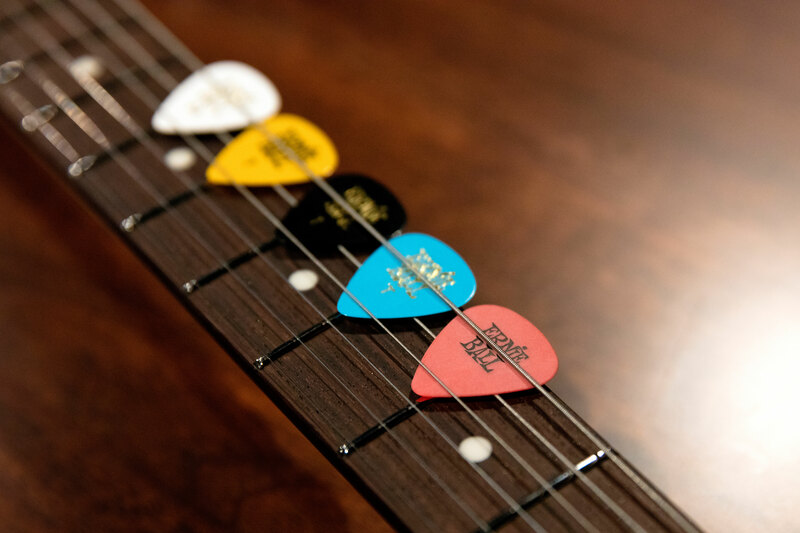 Whether you are a beginner or a professional player, you can find the right picks to fit your needs with this buying guide for guitar picks. Picks are manufactured in a range of thicknesses, or gauges. The thickness of a pick has a large influence on the sound and feel of your guitar or bass strings. There are no set rules for choosing the perfect gauge; to determine the correct thickness for you, first decide what sound you’re trying to achieve and what feel you prefer. Our standard guitar picks are made of cellulose acetate nitrate. They are available in Thin, Medium or Heavy gauge and in the following colors: white, shell, red, black, pink, blue, yellow, assorted pearloid, camouflage and even glow-in-the-dark. Picks of this style are extremely common, and can be found almost anywhere guitars are being played due to their inexpensive cost and versatility. 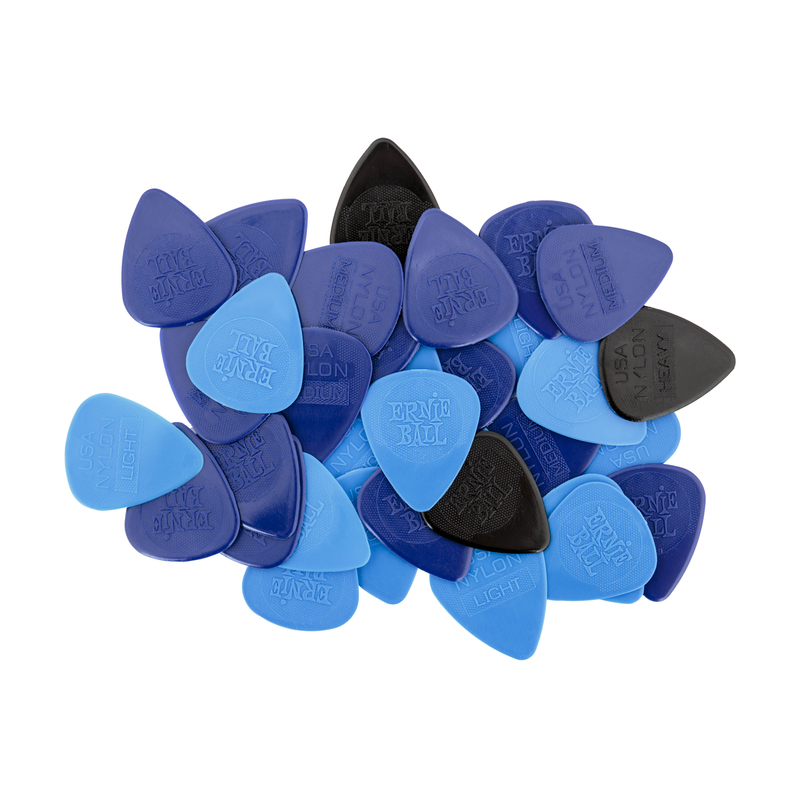 These picks work great for just about any style of playing. Our nylon picks are injection molded, and are color coded by gauge: Thin (blue), Medium (dark blue) and Heavy (black). Ernie Ball nylon picks include multiple raised surface textures in the injection molding process, making the pick significantly easier to hold onto and maintain a consistent grip. 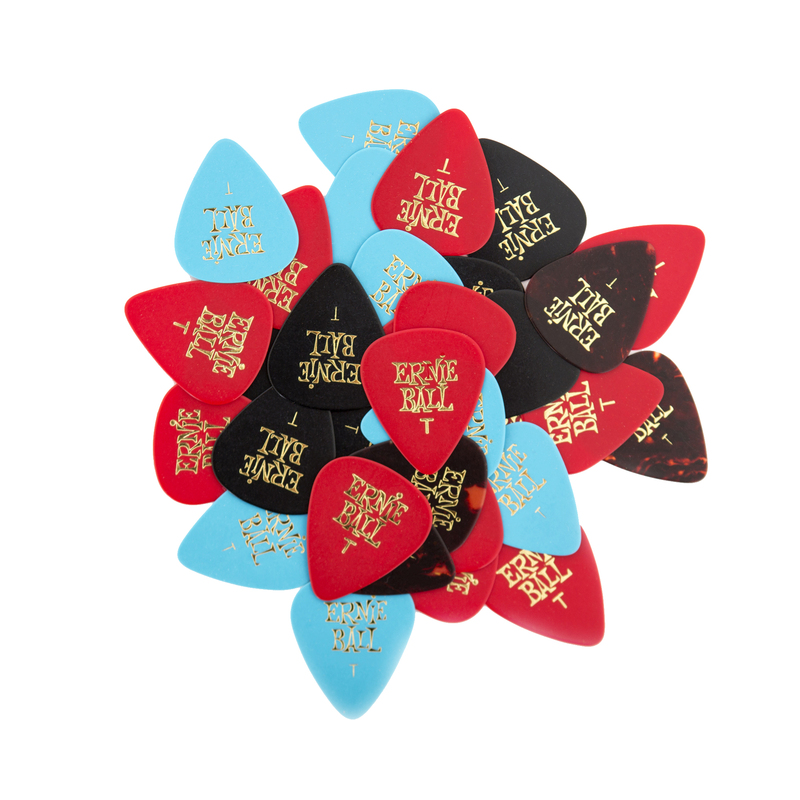 These picks are great for those guitarists who play heavily, as well as those who tend to break a sweat when playing. 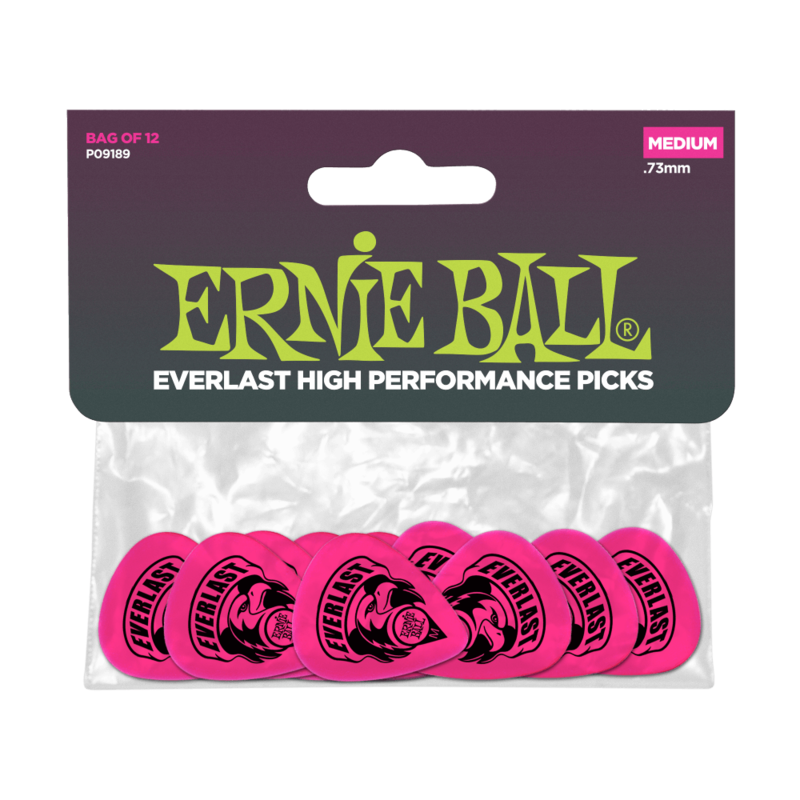 Our specialty Everlast guitar picks are made from wear-resistant Delrin, and are color coded by gauge: Medium (pink) and Heavy (green). These picks offer superior durability, and produce a clean, bright attack. They also have slightly more of a textured feel than standard cellulose picks, making them easier to hold onto. 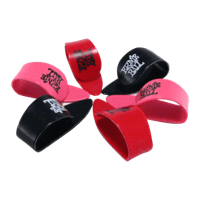 They are great for guitarists who tend to wear out their picks frequently. These picks attach to the thumb and/or fingers in order to assist with strumming and fingerpicking. Made from cellulose acetate nitrate. Available in assorted colors in either medium or large sizes. 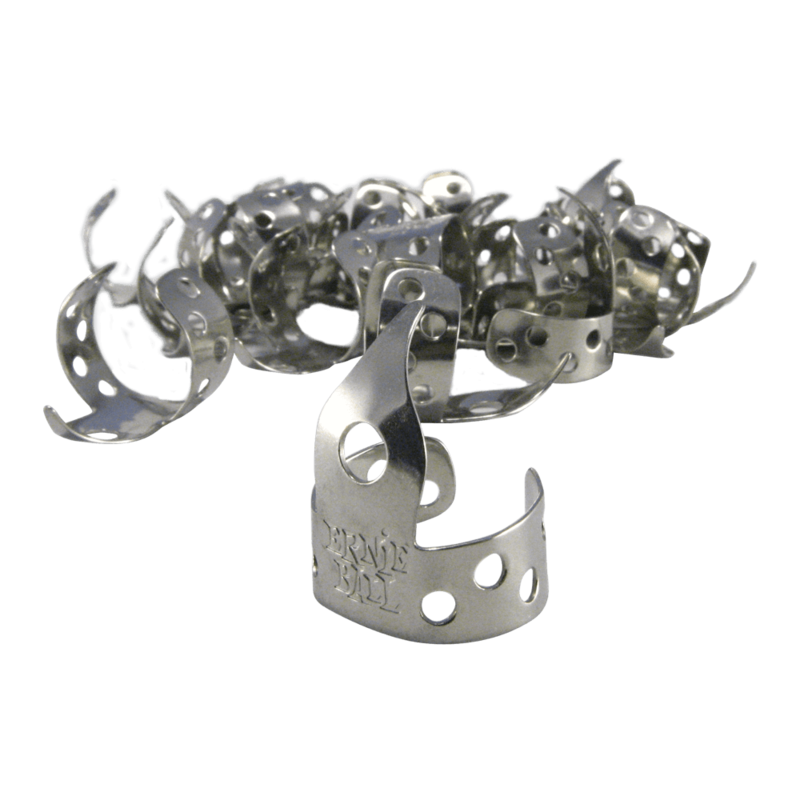 Made from genuine Silver Nickel, Zinc, and Copper alloys. 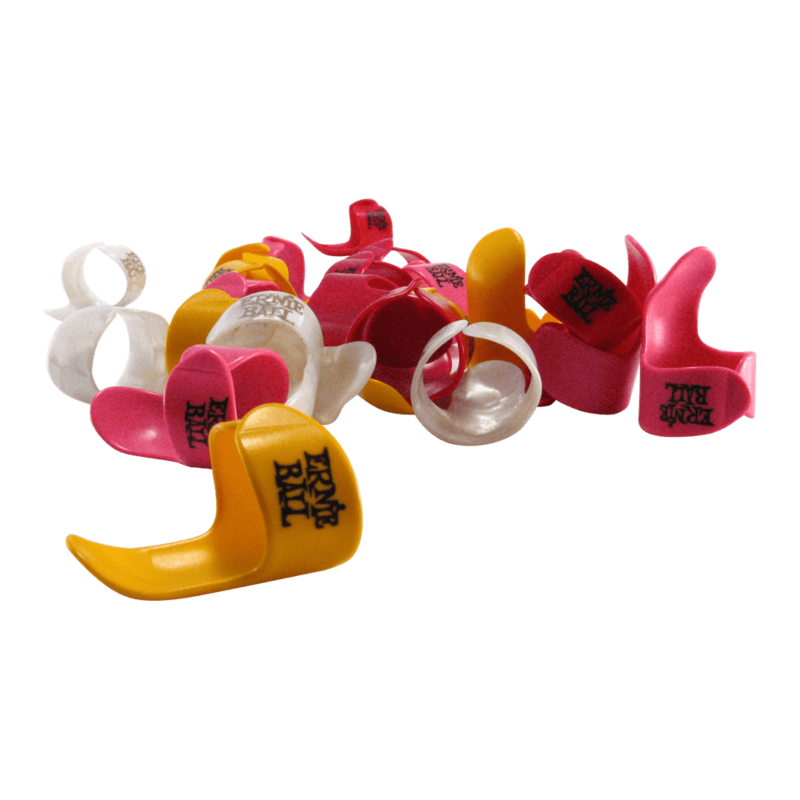 These extra light weight finger picks feature pointed tips to make a perfect, clean attack at any angle. The Ernie Ball Pick Buddy is the best way to ensure that you never lose your guitar pick again. Securely adheres to your pickguard or nearly any surface of your guitar for instant access to your pick, no adhesive required. I use a rubber pick on my BASS when I use one I like them for there sound it’s as close to finger picking tone I have found , do you have a better pick with a natural sound? We don’t currently make any picks that are intended to replicate the sound of fingerpicking on a bass. Rad Article! I’ve always used Ernie Ball strings but now I need to try your picks! This is such a great article! I’ve been using Ernie Ball Strings for the last 10 years but I’ve never tried your picks. Super excited to try some of them out.